Yes, you’re busy. And yes, you just spent a ton of money on the holidays. And yes the thought of bundling up just to head someplace where you’ll take your clothes off may make you want to stay bundled up on your sofa. However, we happen to believe that now is a great time to make an appointment with your massage therapist. 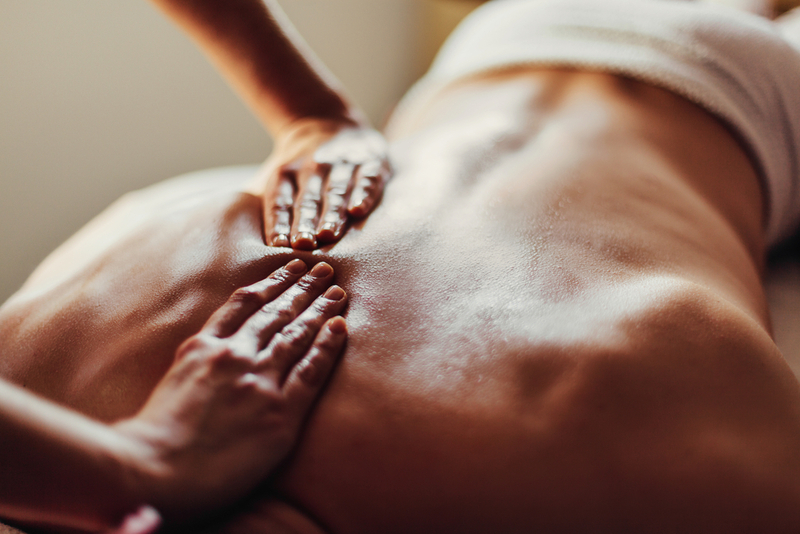 And in case you need some convincing, we’ve got the top 5 reasons why winter massage is about to be your new best friend. You just might need to destress. After the whirlwind of shopping and cooking and errands and decorating and family and friends that comes with the Christmas season, you deserve some rest and luxury. Treat yourself to an hour (or more!) of peace and quiet, where your only job is to lie down and relax while someone takes care of you. Feeling a little sleep-deprived? One of the great things about the holidays is that you get to spend time with your loved ones, often talking and laughing into the night (followed by a very early visit by St. Nick, of course). Luckily, massage is an effective antidote to nights of poor sleep. For one, massage help promote restful and deeper sleep by increasing serotonin, which then increases the melatonin, helping your circadian rhythms to regulate. Massage also fights the production of the stress hormone cortisol which can interrupt sleep. Do the chilly winds and dry air have your skin feeling parched? Add in the extra-hot showers you need just to warm up, and your skin turns into a dry, tight-feeling, chapped mess. The oils we use at Elements are healthy and moisturizing for your parched skin, and they feel great. Your skin will feel soft again, and will thank you for the head-to-toe dose of nourishment. Not only that, our massage oils are infused with high quality essential oils to even further enhance your massage experience with relaxing or invigorating aromatherapy. Aahhhh-choo! If you got a bit too snuggly with a coughing and sneezing little one over Christmas, or if your workplace resembles an infirmary more than an office, your immune system could likely use a little boost. Amazingly, massage can do that, too. While plenty of rest and good nutrition are the common key players in keeping you healthy, getting a massage is like adding a super boost to those efforts. Massage increases the activity of your white blood cells, which help to combat viruses. The shoveling, and the ice skating attempt gone awry, and the undecorating. And the countless other ways you put stress on your body in the cold weather. Cold muscles are less fluid and are more easily pulled or strained. Not only that, but once you hurt one area, your other muscles tense up to try and “help,” leading to greater potential soreness. Getting regular massages is a great way to keep your muscles fluid, soothed, and less likely to get injured. As you wind down from this season of giving, don’t forget to give yourself a gift of healing and wellness. Making regular appointments with your massage therapist will help ensure that you can continue to give others your best self and live your healthiest life for many holiday seasons to come.